MS Word Document Password Recovery 2.1 - Download Win Apps. MS word file password recovery software restores lost deleted secret code string. 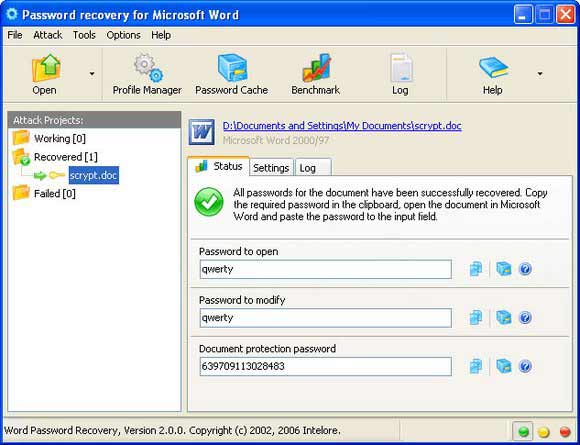 Microsoft word file password recovery software easily recover forgotten or deleted identity of *.docx, *.dot and *.doc file and allow user to change or modify open, protection and write password of multiple word files build in different office edition including office 2003, XP, 2000 and 2007. Secret code revelation application restore missing password of word file and document concurrently within a few minute regardless of the password size.